(DOJ) Two businessmen, including one who is a Chinese national, have been indicted on charges alleging that they conspired to commit economic espionage and steal trade secrets from a business in the United States on behalf of a company in China that was engaged in manufacturing buoyancy materials for military and civilian uses. The charges were announced today by Assistant Attorney General for National Security John C. Demers, U.S. Attorney for the District of Columbia Jessie K. Liu, Assistant Director Bill Priestap of the FBI’s Counterintelligence Division, Special Agent in Charge Perrye K. Turner of the FBI’s Houston Field Office, and Chief Don Fort of the Internal Revenue Service’s Criminal Investigation (IRS-CI). Shan Shi, 53, a U.S. citizen from Houston, Texas, and Gang Liu, 32, a Chinese national, were among six individuals named in a superseding indictment returned on April 26, 2018, in the U.S. District Court for the District of Columbia. All six individuals initially were indicted in June 2017 on a charge of conspiracy to commit theft of trade secrets. The superseding indictment includes that charge and adds the conspiracy to commit economic espionage count against Shi and Liu, as well as a federal money laundering conspiracy count against Shi. CBM-Future New Material Science and Technology Co. Ltd. (CBMF), a Chinese company based in Taizhou, and its Houston-based subsidiary, CBM International, Inc. (CBMI), have also been indicted on all three charges. The other defendants include Uka Kalu Uche, 36, a U.S. citizen from Spring, Texas; Samuel Abotar Ogoe, 75, a U.S. citizen from Missouri City, Texas; Kui Bo, 41, a Canadian citizen who had been residing in the Dallas area; and Hui Huang, 33, a Chinese national. All of the defendants pled not guilty last year to the charges in the original indictment, with the exception of Huang, who has not been apprehended and is believed to remain at large in China. A seventh defendant previously pled guilty in December 2017 to a charge of conspiracy to commit theft of trade secrets. “The ongoing theft of American technology is a severe threat to our national security, and this is doubly true for technology with direct military applications. As this situation demonstrates, the FBI remains committed to working with its partners to combat this threat,” said FBI Assistant Director for Counterintelligence Priestap. According to the indictment, China has promoted military, social, and economic development initiatives with a goal of making the country a marine power and has prioritized the development of engineered components of deepwater buoyancy materials. The charges in the indictment involve the development of syntactic foam, a strong, lightweight material that can be tailored for commercial and military uses, including oil exploration, aerospace and stealth technologies, and underwater vehicles, such as submarines. 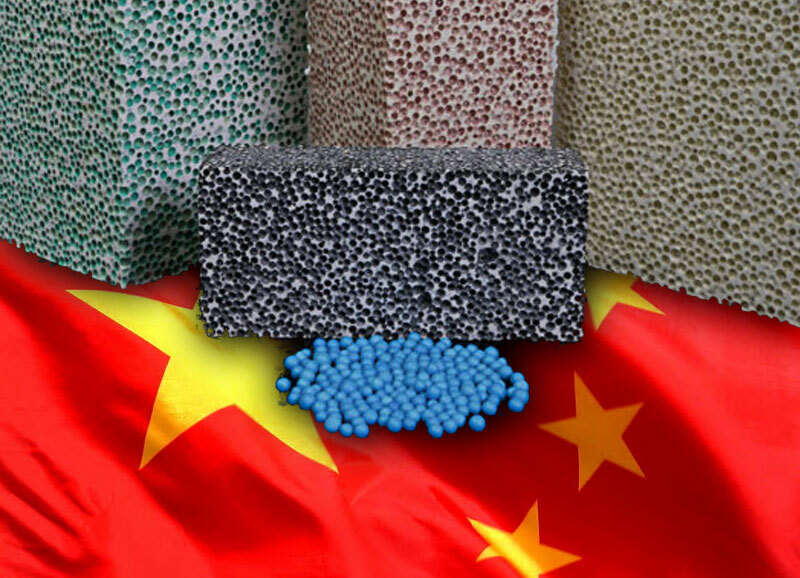 According to the indictment, from at least 2013 through May 2017, Shi operated on behalf of CBMF, which intended to create a facility in China to sell syntactic foam. CBMF received research funds from state funding in China and was part of a collaborative innovation center with Chinese government entities. The indictment alleges that Shi and Liu conspired with the other defendants to steal trade secrets from a global engineering firm, referred to in the indictment as “Company A,” that is a producer in the global syntactic foam market. In March 2014, according to the indictment, Shi incorporated CBMI, which was owned and funded by CBMF, in Houston. The indictment alleges that CBMF employees wired approximately $3.1 million to CBMI between June 2014 and May 2017. According to the indictment, Shi and others recruited and hired current and former employees of “Company A” in Houston, including Liu, for the purpose of aiding CBMF’s capability to make syntactic foam. Liu previously worked for “Company A” as a material development engineer and had access to proprietary and trade secret data. He and others are accused of passing along those trade secrets. According to the indictment, the technology was ultimately destined for China, to benefit the government and other state-owned enterprises. The maximum statutory penalty for conspiracy to commit economic espionage is 15 years of incarceration. The maximum for conspiracy to commit theft of trade secrets is 10 years, and the maximum for conspiracy to commit money laundering is 20 years. The charges also carry potential financial penalties. The maximum statutory sentence is prescribed by Congress and is provided here for informational purposes. If convicted of any offense, a defendant’s sentence will be determined by the court based on the advisory Sentencing Guidelines and other statutory factors. The case is being investigated by the FBI’s Houston Field Office, Commerce’s BIS Office of Export Enforcement, and the IRS-CI. The case is being prosecuted by Assistant U.S. Attorneys Jeffrey Pearlman, Zia Faruqui, and Michael Romano of the District of Columbia, and Trial Attorney David Recker of the National Security Division’s Counterintelligence and Export Control Section.